IDW Publishing and Humble Bundle are once again joining forces to launch a new digital comics bundle in support of charity featuring the best original titles IDW has to offer! The Humble Comics Bundle: Creators Showcase presented by IDW Publishing features over $385 worth of original content from some of the most creative writers and artists in comics including Joe Hill, Gabriel Rodriguez, Mike Carey, Fred Van Lente, Chuck Dixon, Sam Kieth, Steve Niles, Chris Ryall, Butch Guice, Ben Templesmith, William Gibson, Walter Simonson, and Darwyn Cooke. In addition to those A-listers, discover the comic book all-stars of tomorrow with this bundle and see what you’ve been missing! Pay $1 or more and receive: The October Faction Vol. 1, The Maxx: Maximized Vol. 1-2, Cosmic Scoundrels #1, Winterworld Vol. 1-2, Night of 1,000 Wolves, Rot & Ruin: Warrior Smart, Comic Book History of Comics, The Last Fall, and Wynonna Earp Legends: Doc Holliday #1 & #2. Those who pay $5 or more will also receive: Wynonna Earp Vol. 1, Onyx, Locke and Key Vol. 1, Brutal Nature, The Electric Sublime #1-4, Hot Damn, Kill Shakespeare Vol. 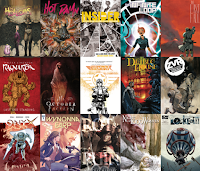 1, D4VE, 30 Days of Night, The Infinite Loop, and Animal Noir #1. At the $10 mark customers can add these to their collection: The Squidder, D4VEocracy #1, Yakuza Demon Killers #1-4, Winterworld: Better Angels, Colder Hearts, Winterworld, The October Faction Vol. 2, The Maxx: Maximized Vol. 3-4, The Hollows, Parker: The Hunter, Locke and Key: The Guide to Known Keys, Locke and Key: Grindhouse, Kill Shakespeare Vol. 2-3, Joe Hill’s The Cape, Joe Hill’s The Cape: 1969, Half Past Danger, The Wraith: Welcome to Christmasland, and Amazing Forest. In addition, those who pay $18 will also receive: Archangel #1-3, D4VE2, Kill Shakespeare Vol. 4, Little Nemo: Return to Slumberland, Locke and Key Vol. 2-6, Parker: Slayground, Parker: The Outfit, Parker: The Score, Ragnarok Vol. 1, The October Faction Vol. 3, Wild Blue Yonder, and Zombies vs Robots: Warbook Omnibus. 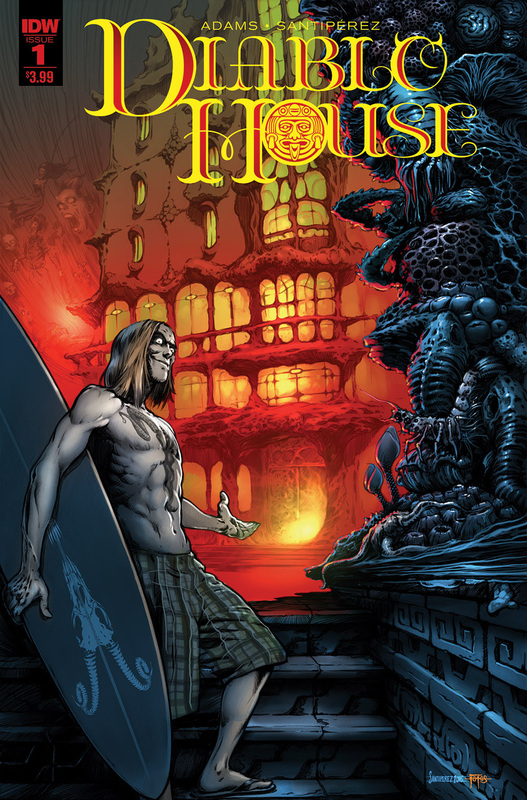 If customers choose to pay $25 or more they’ll also be one of the first to own a signed print copy of Diablo House #1, a brand new horror series debuting via Humble Bundle, written and created by Ted Adams (IDW Publishing’s CEO and Publisher), drawn by Santiperez, and colored by Jay Fotos. Check back on Wednesday, March 8, for additional titles joining the bundle! To see the full bundle, head to https://www.humblebundle.com/books/creator-showcase-comics-bundle. As with all Humble Bundles, customers choose how their purchase dollars are allocated, between the publisher and the charity. 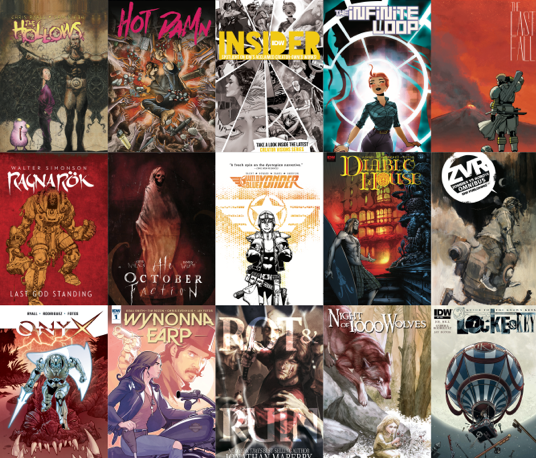 The Humble Comics Bundle Creators Showcase presented by IDW Publishing supports the Comic Book Legal Defense Fund and Traveling Stories. The Humble Comics Bundle Creators Showcase presented by IDW Publishing runs from now until Wednesday, March 15, 2017 at 11 a.m. Pacific Time.